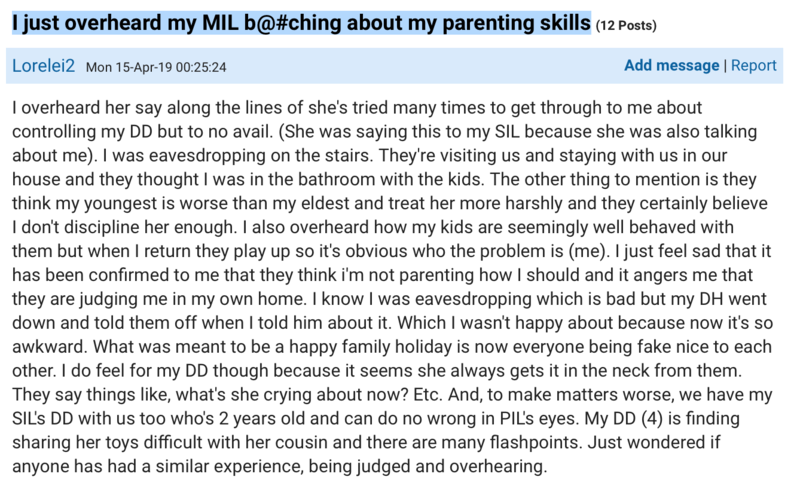 "I just overheard my mother-in-law b*tching about my parenting skills"
Taking to the parenting forum Mumsnet, this poor mama said she’d ducked up to the bathroom with her kids when her mother-in-law and sister-in-law started discussing her parenting skills, in her absence. She knows this because as she headed back down the stairs she could hear them talking about her. Making matters worse, this all took place in her own home where her mum-in-law and sister-in-law are currently house guests. “I just overheard my MIL b**ching about my parenting skills,” the poor mum wrote, explaining she’d accidentally eavesdropped on a discussion between mum-in-law and sister-in-law. These two family members have some very clear ideas on the behaviour and discipline of this woman’s kids. “They think my youngest is worse than my eldest and treat her more harshly and they certainly believe I don’t discipline her enough,” the sad mum wrote. The fact that the kids behave beautifully with the mum-in-law and sister-in-law but less perfectly with their own mum (which is NORMAL!) has led these two women to deduce that problem parenting is to blame. The judged mum admits she shouldn’t have been eavesdropping and reveals she told her hubby about what they’d said and he promptly went downstairs and told them off. Apparently the comparison game is strong between sister-in-law’s kids and her own daughter and it’s making her feel upset and protective of her child. It sounds like a very stressful family dynamic, but this mum wonders what she can do to balance keeping the peace with protecting her daughter. The little girl is even being critiqued for finding it hard to share with her two-year-old cousin. She asked other forum users for advice. Some commenters noted that children always behave differently with their parent. Another thought that the family members had been the badly behaved one. 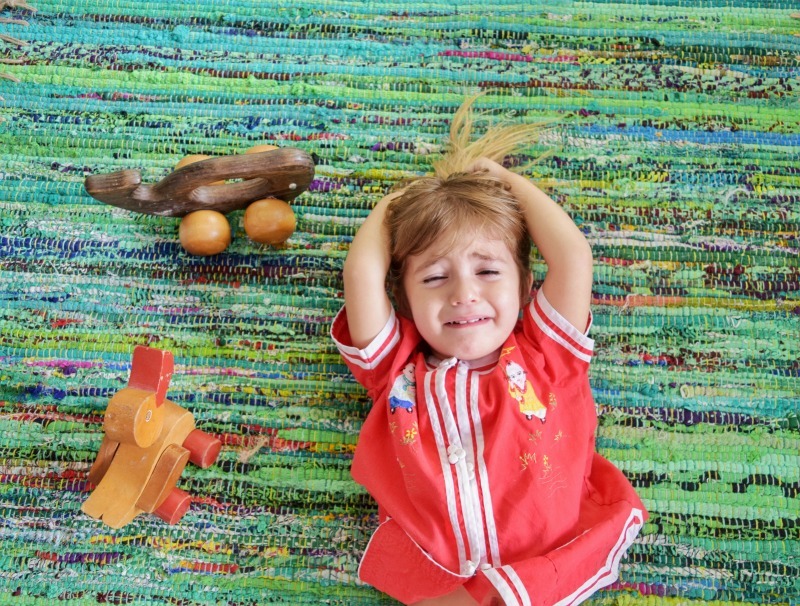 One commenter reminded this upset mum that her four-year-old was completely normal. Others still thought a ‘choose your battles’ approach would be best.